At its simplest, Track King’s business vehicle tracking system is a means to locate your company vehicles in real time and report on their historical activity. 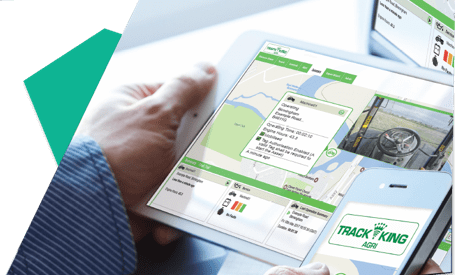 For fleet tracking, haulage, plant and agricultural equipment – the real benefit of your tracking system lies in its ability to answer business critical questions instantly whilst ensuring you get the very best results from your fleet and personnel. Our business uses the most up-to–date operational technology & communication tools in the industry, allowing us to build solutions based on your business and not our products. We believe every business is unique which is why we offer multiple tracking solutions based upon your needs – please see below a selection of options or call us free to discuss a solution. Track King uses online cookies and some small tracking data to ensure you get the best performance from our website Find out more.